Baylor came with me to a site inspection for the water company. It had just rained and there was mud everywhere. She quietly asked me if she could stomp around and I said yes. Mid sentence, the inspector looked over my shoulder. When I turned around I saw B sitting in the mud. 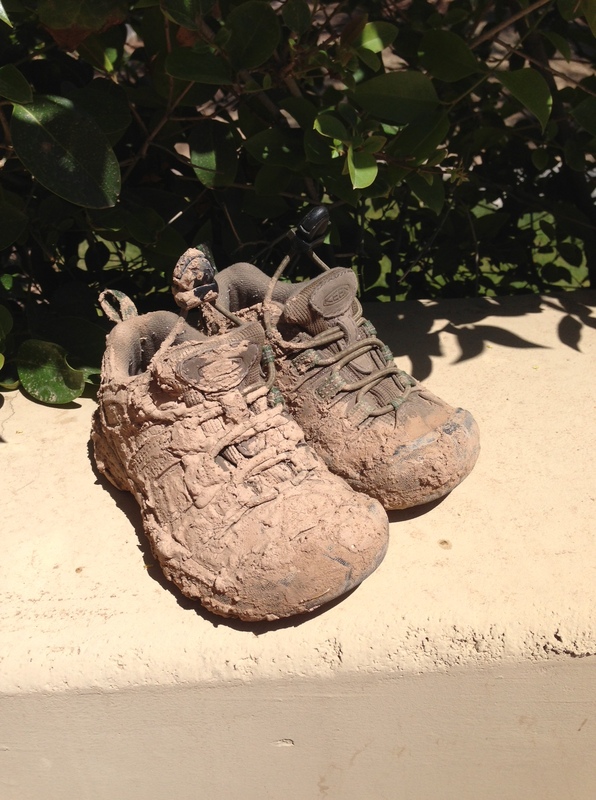 I quickly realized she was laughing – her feet were stuck in the thick mud and she fell over. It made my heart happy to see her laughing while sitting in the mud rather than freaking out. Gotta love a kid who likes to get dirty.